For many people the thought of going to the dentist makes them shudder – enough so that they avoid visiting the dentist for years at a time. This is detrimental to their health and leads to the need for more invasive dental care in the long run. Our team at Mesilla Valley Family Dentistry is committed to helping patients overcome their fear of the dentist and begin enjoying a healthier mouth. Oral conscious sedation is one of the most common ways we help to calm patients during their visit. Our office offers Sedation Dentistry in Las Cruces to help you stay relaxed and comfortable during a dental procedure. 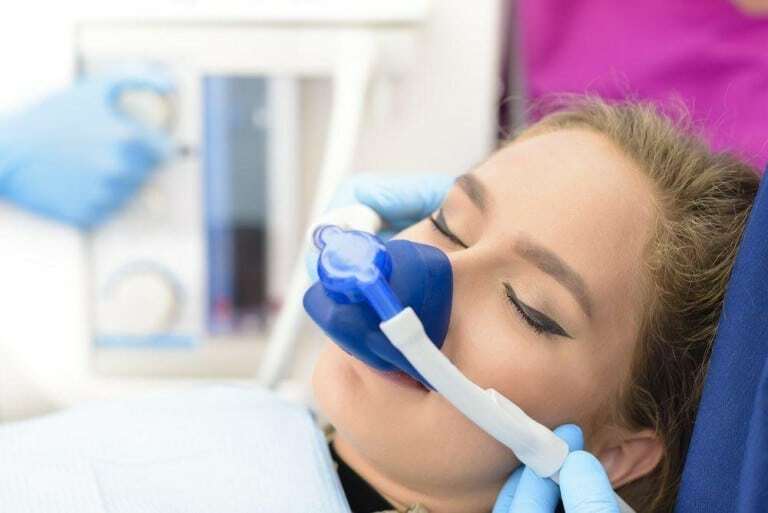 We offer both Nitrous Oxide Sedation and Oral Conscious sedation. Conscious sedation is a form of sedation that eliminates anxiety without completely knocking you out. When a person is consciously sedated they might slur their words and not remember the procedure but aren’t totally out like they would be under general anesthesia. Oral conscious sedation requires the patient to take a pill. Because these medications sedate you, it’s important that you have someone to drive you to and from your visit. Am I a candidate for conscious sedation? Before determining if you’re a candidate for conscious sedation you’ll need to meet with Dr. Borham. However, typical patients that are candidates usually have a bad gag reflex, have a low threshold for pain, have a hard time sitting still in the dental chair, or need an extensive amount of dental work done. Even if you don’t fit into the above categories, you might be a candidate for conscious sedation. At Mesilla Valley Family Dentistry we recognize that every patient and situation is different. What works for one might not work for the other. That’s why we strive to get to know each of our patients. This helps us to provide the best care possible. Conscious sedation is incredibly safe and a great option for patients who have extreme anxiety when it comes to the dentist. It’s important that you meet with the dentist so that they can determine which medication is the best for you.